Welcome to our FOODIO challenge! FOODIO, Food Solutions Master Class, is a multidisciplinary, challenge-based learning programme for bachelor, master and doctoral students, working together with professors, researchers and professionals. FOODIO is conceived to educate in an international environment, connect business and academia, and stimulate for the creation of new food solutions for future innovation. During 2018, five academic institutions and three business partner organizations will guide forty student participants to generate ideas for new solutions to exploit plant-based side streams. FOODIO participants will get understanding of challenge-based problem solving, using experimentation and design thinking tools, developing team working skills and accessing new networks. The challenge includes direct interaction and collaboration with food industries and end-users, to transform an idea into a real new food product with impact on sustainability, society and economy. Ready to create your food solution for the future Food System? The FOODIO initiative takes an entrepreneurial approach to tackle future challenges. 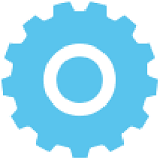 The FOODIO project is a joint venture of distinctive innovation partners. 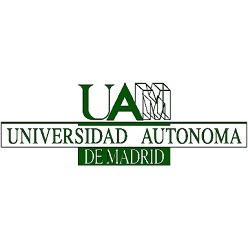 The Autónoma University of Madrid is a modern university committed to the three pillars of knowledge: education, research and development, and entrepreneurship. UAM harbours a platform design to promote knowledge transfer between academia and industry, in which hosts research clusters, technologically-based companies and start-ups. UAM works for competitiveness and innovation of food industry through knowledge transfer from bench-to-fork. The Food Technology and Nutritional Science Department develops an important research activity with many research projects both public and linked to food companies. The research lines are focused on the production and characterization of healthy foods and food ingredients for health, as well as to provide personalized nutrition to patients with chronic diseases. 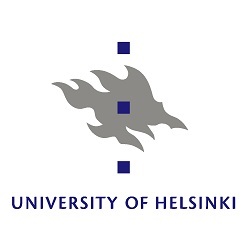 University of Helsinki, established in 1640, is the largest institution of academic education in Finland, and an international scientific community of 40000 students and researchers. UH operates on four campuses in Helsinki (city Centre, Kumpula, Meilahti, and Viikki) and in nine other localities in Finland. UH has 11 faculties, several research-orientated institutes, multidisciplinary research networks and campus units, and units attending to the duties of a national authority. UH is among the top 1% of the world’s research universities and its scientific quality is manifested for instance by 44 ERC grants, 50% of Thomson Reuters’ highly cited Finnish researcher are in UH, and the University has over 100 European projects running annually. The University of Hohenheim is the leading University in agricultural research and food sciences in Germany and is ranked #3 in Europe. With its three faculties Agricultural Sciences, Natural Sciences, and Business, Economics and Social Sciences, the university is able to address holistically most aspects of the food science. Nowadays, the main research lines are focused on the interrelations between the behaviour of individual ingredients during processing and the extraction of functional ingredients of foodstuffs to improve the quality of food products in general. 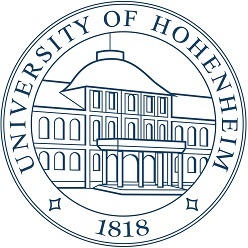 The University of Hohenheim institutes and institutions are internationally and interdisciplinary aligned to carry out basic and application-oriented research providing innovation in the food area. The Spanish National Research Council (CSIC) is the largest research institution in Spain, and the third largest in Europe, with a 75-year experience. Its activity falls in the field of basic and applied research and has focused on technology transfer and generation of start-up companies. The advance in knowledge generated at CSIC leads to technology transfer an innovation to assure food security and make the agrifood industry more competitive while applying more sustainable production methods, and ensuring safety and optimal nutrition for the consumer. CSIC also have links with consumer associations, policy makers and stakeholders from different sectors. Furthermore, provides advice on relevant food issues to the consumers and governmental institutions to inform the society with a scientific background, encouraging consumers for making healthier choices. CSIC host high specialization courses that are taught by CSIC researchers and covers all areas of knowledge and scientific research. These courses are addressed to graduates, engineers, architects, among others, and are taught mostly in the Centres and Institutes belonging to the CSIC. Moreover, CSIC collaborates with different Spanish and European Universities in Official Postgraduate programmes, adapted to the European Higher Education Area, leading to nationally recognized Masters’ and Doctoral Degrees. The Technion, Israel Institute of Technology, is a science and technology research university dedicated to the creation of knowledge and the development of human capital and leadership for the advancement of the State of Israel and all humanity. Since founded in 1912, Technion has become a global pioneer in both and traditional and novel engineering fields. The Technion fosters out-of-the-box thinking and it is home to various multidisciplinary centres of excellence, generating a diverse portfolio of ground-breaking innovations, from computer and data science, through electrical and mechanical engineering, to the fields of agriculture, biomedical, biotechnology & food engineering, nutrition and health. Integrated within Technion, the Knowledge Centre for Innovation (KCI) develops, promotes and implements research-grounded methodology and tools along the process of innovation, from problem identification, to idea generation and selection, and through implementation and market penetration. The Centre encourages and facilitates open innovation through cooperation between local and global organizations, between academia, industry, and policy makers, and via virtual and face-to-face interactive innovation forums. Applications with a motivation letter, study plan and CV will be welcome between November 7th and December 10th, 2017. The selected candidates will be notified in December 2017. Accepted students will get together in Helsinki in the second week of March (6-8/03/2018) to meet their colleagues and competitors. The challenge is presented to all participants. Teams are formed. Teams define the problem and prepare the Solution 1.0. Principles of co-creation and design thinking are introduced. Valio will graciously tour all students through its facilities. The different teams will undertake the proposed challenge covering all aspects of new food product creation, from ideation to consumer’s opinion. Videoconferences will guide the students by providing the required knowledge to perform the task. Teams work locally at partner facilities. Close contacts with collaborating teams at the partner universities are managed through online tools. Teaching on food product development is provided through supervision, mentoring, and online lectures. The teams will report their progress at the end of May/beginning of June and the tutors will evaluate the development of the projects. Mid-evaluation of the technological solution, teamwork and learning will be done in a webinar. Other EIT Food partners and external professionals are invited to participate. The teams will meet again during the second week of December in Madrid in order to present their projects and new food products to all participants. Mentors, teachers, and business stakeholders provide feedback to the teams. The team presenting the best product during the Final Gala in Madrid will be awarded 2000 € offered by Valio. Top student performers will enter the chance to compete for an Innovation Grant from EIT Food. Students and early-stage researchers will be eligible if they are currently enrolled at the University of Helsinki, University of Hohenheim, Technion - Israel Institute of Technology or Universidad Autónoma de Madrid. 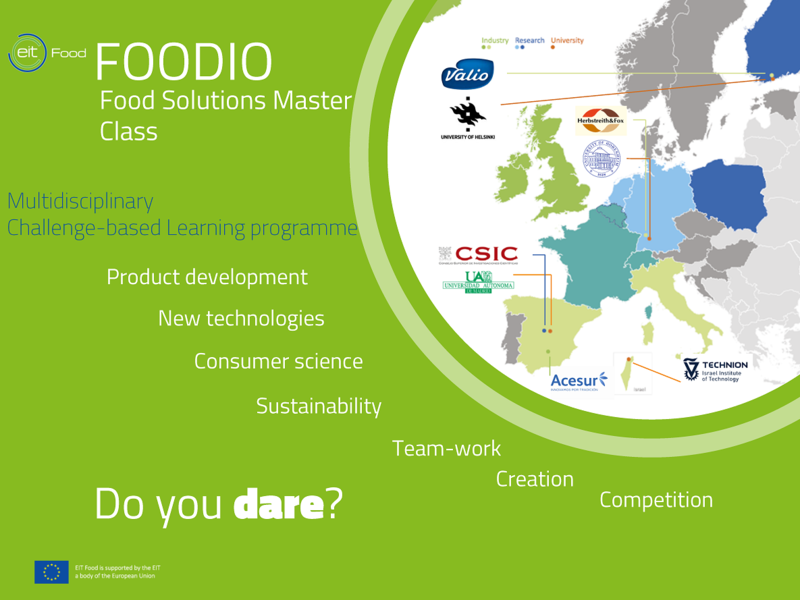 The EIT Food FOODIO Master Class will receive 40 students in total. You can submit your application between November 7th and December 10th, 2017 23.59 pm (CEST). We will, however, fill the available spots on a rolling basis according to the evaluation criteria, until they are full. In order to be eligible for the EIT Food FOODIO Master Class, please submit your application at this website, including your CV, a letter of motivation and your study plan for 2018, in English. The study plan includes the terms dates of each university as they may differ among universities programmes or studies. 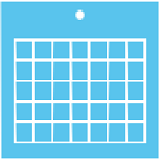 The study plan needs to include semestres dates, exam periods or holidays. VERY IMPORTANT! : Such three .PDF files must be packaged into a single .ZIP file. When will I be notified of the decision concerning my application? You will receive an invitation or rejection letter via the email address you provided in the application form two weeks after the deadline. What are the evaluation criteria for the application? Interest in solving problems and facing challenges of Europe's future food system. Open mind, entrepreneurial spirit, involvement in academic and/or community initiatives. Motivation to work as a team player in an international, multidisciplinary and intersectorial setting. Costs for completing the experimental/research activities, teaching, coaching. Costs for using in-house online communication platforms and facilities. Costs for the Boot Camp and the Final Gala events, including air-land travel, accommodation and living expenses. You are responsible for covering any additional occurring costs that are not mentioned here (e.g. any activity engaged in during free-time, personal expenses, insurance during travelling, etc.). Where will the EIT Food FOODIO Master Class take place? 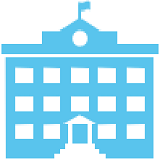 Research will be done at the location of the participant institution of your own country. This means precisely, at the Campuses of the University of Helsinki, University of Hohenheim, Technion - Israel Institute of Technology, or Universidad Autónoma de Madrid (Cantoblanco). 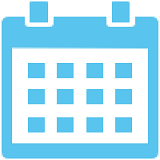 Team meetings, classes and other events for information exchange among participants will be organized by videoconference and on-line platforms. The students will have to travel to the Boot Camp (Helsinki, Finland) and the Final Gala (Madrid, Spain) locations. What do I receive upon successful completion of the EIT Food FOODIO Master Class? 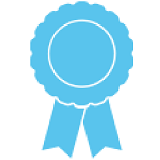 All participants will receive a certificate. 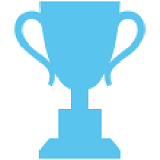 A prize in cash (2000 €) will be awarded to the winning team. To apply you must be at least 18 years of age and be enrolled in one of the Universities/Institutions participating in the EIT FOODIO Master Class. You are expected to attend and participate in all programme activities organized by the EIT FOODIO Master Class team during the programme period. Should you accept a place in the EIT Food FOODIO Master Class and fail thereafter to attend and fully participate in the activities, you agree to be responsible for communicating it promptly and any upcoming costs, if applicable. This excludes cases of force majeure or illness, which will be reviewed by the EIT Food FOODIO Master Class management on a case-by-case basis. In order to guarantee fluid and cooperative communication among the teams and other stakeholders, you agree to the distribution of relevant professional data from your CV to all parties involved in the project (all team student members, teachers, coaches, and other personnel involved from universities, institutions and companies involved). This information will be handled in accordance with Finnish data protection procedures. You are asked to treat any non-public knowledge with confidentiality. This commitment shall continue following the end of the programme. You acknowledge that the EIT Food FOODIO Master Class has the right to use all promotional materials, including but not limited to photographs, videos and testimonials made during the programme for future communication activities. The safety of the participants during events and activities throughout the programme and final presentation. Damage to the property of a participant or damage caused by a participant to the property of the EIT Food FOODIO Master Class organizers and third parties. Other damages, losses, liability or injury arising out of or in any way connected with the EIT Food FOODIO Master Class.